China's telecoms-equipment giant is in crisis. Its CFO has been arrested over alleged sanctions violations, and a security backlash has intensified in Europe. 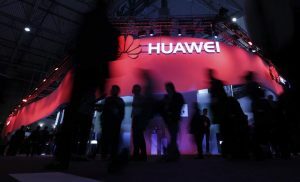 As the race to dominate next-generation wireless technology speeds up, Huawei's woes will have costly ramifications. People in the Middle Kingdom are buying fewer iPhones and cars, but Nike and others are chugging away nicely. Meanwhile, India’s struggling rural farmers are a force too big to ignore in this year’s general election. Plus: The Detroit auto show reflects the industry’s gloom. Foreign investment into mainland businesses grew less than 1 pct in yuan terms last year, to $131 bln. Flows to North America and Europe also tanked. Deepening suspicions are as much to blame as weaker demand. This retreat poses longer-term concerns than imports and exports. Jim Yong Kim has quit as head of the global lender, and the White House has a big say on his replacement. American officials had already pressured the bank to lend less to China and warned about Beijing’s influence. A hawkish new boss could create a new front in the trade war. Apple’s warning about China iPhone sales has freaked out markets. Yet foreign luxury brands – such as thousand dollar smartphones - make shallow indicators of broader trends. Chinese demand is indeed cooling, but unevenly. Investors need not panic just yet. Viewsroom: Who will be 2019’s free-trade champion? Big economies are throwing up tariffs, but East Africa’s common market could swell to 250 mln people if Ethiopia joins the club. Breakingviews columnists also predict this year will bring the end of easy money for Chinese startups, and a challenge to Tesla from Lyft and Uber. Investors may not always believe China’s official data, but Apple’s warning that iPhone sales rapidly decelerated in the country sends an alarming message about the main engine of global growth. Still, in some ways the U.S. tech giant may be at the sharp end of the slowdown. U.S. President Donald Trump’s tariffs give global companies an incentive to manufacture locally. But the shift was already underway because of new technologies like automation. Carmakers and pharma groups will localise more production in 2019 even if tensions over commerce abate. An all-U.S. iPhone X, if even feasible, could double the current $1,000 price tag. Argentina's cellphone experiment early this decade is a useful comparison. It shows how Donald Trump's import restrictions, taken to their logical end, will only create a dysfunctional economy. The global trade body’s appeals panel may become paralyzed because of U.S. obstinacy. America, China and the EU can wring commerce concessions without filing complaints. Minnows like Panama and Moldova lack other recourse and will suffer if trade turns into a free-for-all. Maybe not a real one. But Tencent could tag-team with WWE to build Chinese versions of Triple H and The Undertaker, and vent a bit of trade tension. The $370 bln tech giant would make a burly partner; Tencent would score a PR coup, plus Trump access via co-founder Linda McMahon. U.S. stocks have fallen sharply, but in an orderly way. Fund managers and exchanges have handled heavy volume smoothly. That’s despite the unsustainable policies of the Trump administration, and clumsy efforts to instill calm. As long as those persist, prices can fall further. The U.S. president’s trade war has evaporated export markets for soy beans and other crops, leaving growers struggling even more than before. Yet they’re mostly sticking by Trump. If he can’t strike a good deal, farmers’ faith will erode when credit dries up for the next harvest. Equity valuations are in the stratosphere and geopolitical risk is running hot. Breakingviews columnists predict how that’ll affect markets in 2019, from trade-war fallout to Indian privatizations, a Deutsche Bank rally and mining M&A. They also assess last year’s prognostications. With some 5 mln autoworkers to protect from tariff pain, Japan’s prime minister will have little choice but to sign a bilateral U.S. trade deal. Expect the new NAFTA’s anti-China clause to feature. Seeking warmer relations with Tokyo, Beijing is apt to look the other way. In a speech to mark 40 years since China’s shift to a more market-orientated economy, the president failed to announce bold new measures and wasted a chance to offer the U.S. trade concessions. It’s a stark reminder of how far hopes have fallen for liberalisation on Xi’s watch. The New York Fed’s push to improve industry behavior deserves top watchdog billing. Goldman’s 1MDB mess is only one reminder the message hasn’t totally sunk in. Slower economic growth in 2019 could expose more lapses. It’s a good time for boss John Williams to badger his charges.